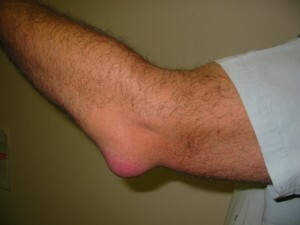 Bursitis is a condition in which the bursa becomes inflamed and irritated. The bursa are membranes that are situated near joints, acting as a cushion or padding between the bone and muscle. The bursa allows the joint more flexible by reducing the friction between adjacent structures. Bursitis is a common condition that occurs as a result of overuse of a particular joint, such as from movements like painting a wall or throwing a ball. Bursitis is rarely caused by an infection or gout. Find out more at First Aid Kelowna. The condition in common in overweight people, diabetics and the elderly, however, it can also occur in young healthy people with no obvious reason. See a health care professional if there is significant swelling around a joint or severe pain in the affected region. The most preferred way of preventing bursitis is by simply avoiding repetitive movement of a joint. People with risk factors of bursitis such as being overweight, diabetic or elderly should especially avoid overuse of a joint. To prevent bursitis, losing weight may reduce your risk of having bursitis in the legs. If you are not able to prevent repetitive motion or stress on the joint, you may wear protective gear to reduce your risk. Treatment involves rest and modifying your activities so that symptoms resolve within a few days or weeks. To treat pain during your recovery period, you can take nonsteroidal anti-inflammatory pain medication such as aspirin or ibuprofen to relieve inflammation and discomfort. Acetaminophen along with physical therapy may be recommended by your healthcare provider as well. Why not try Vancouver first aid courses. In case, bursitis is caused by an infection, you will be prescribed to take antibiotics. If pain is too severe, or does not get better, your doctor may administer corticosteroid injection into the affected area. However, you must avoid repeated use of the injection as it may worsen the condition. Avoid corcosteroid injections if bursitis is caused by an infection. If bursitis is recurrent on the same site, you may be referred to a doctor to remove the affected bursa surgically. Surgery is however, rare. Surgery is also needed if bursitis is caused by an infection and does not go away with antibiotic treatment. Usually bursitis is very brief and symptoms resolve rapidly along with conservative treatment measures. It is not very common to suffer from the problem for a long time. However, in rare cases the condition may lead to permanent disorientation of the joint or disability.